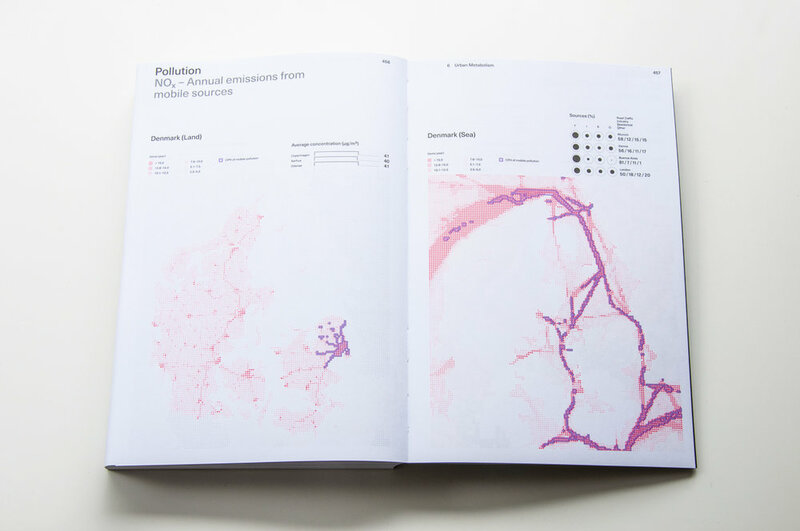 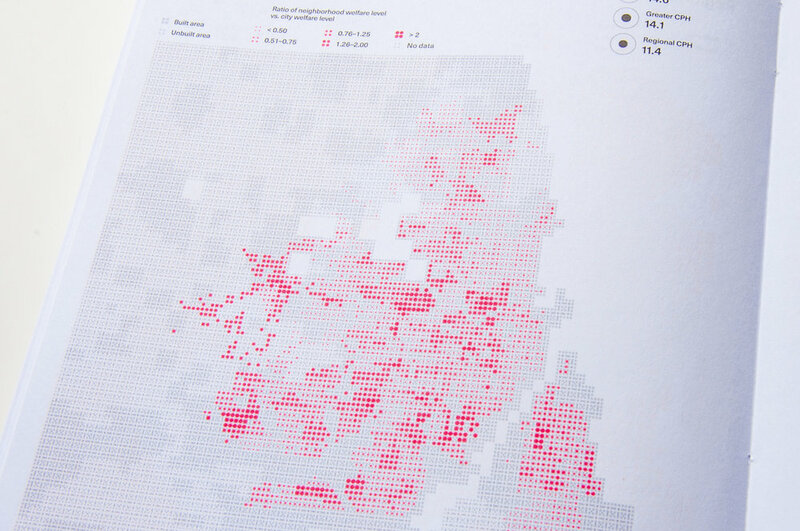 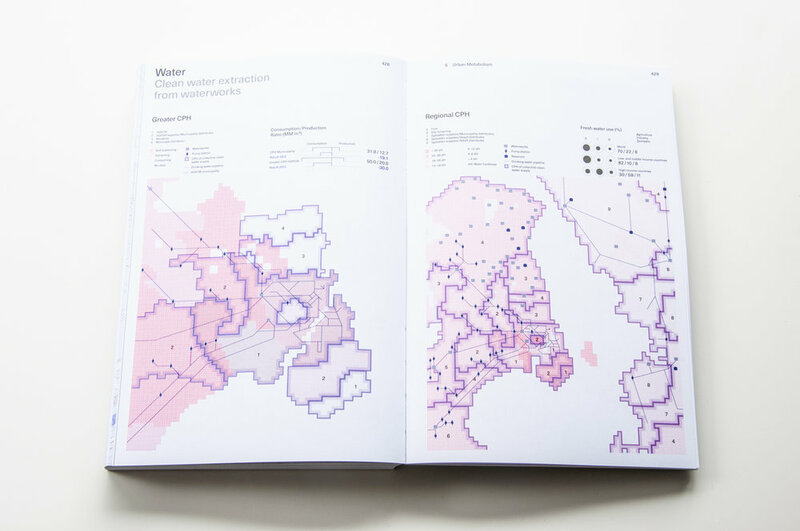 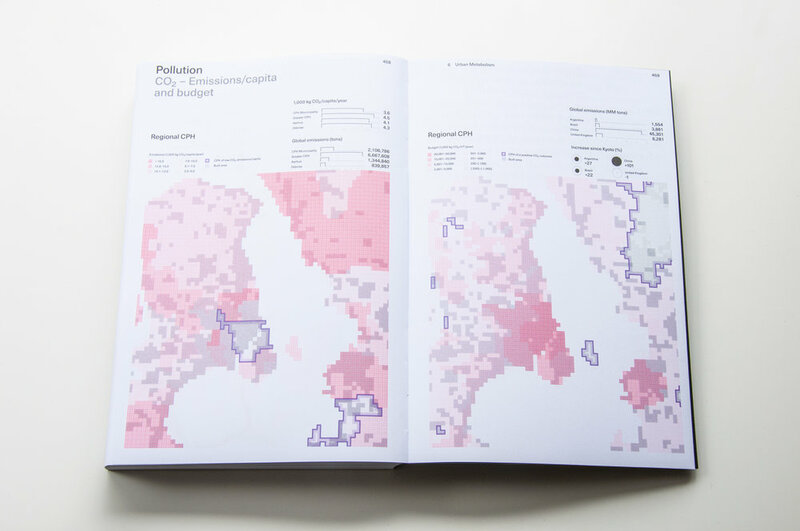 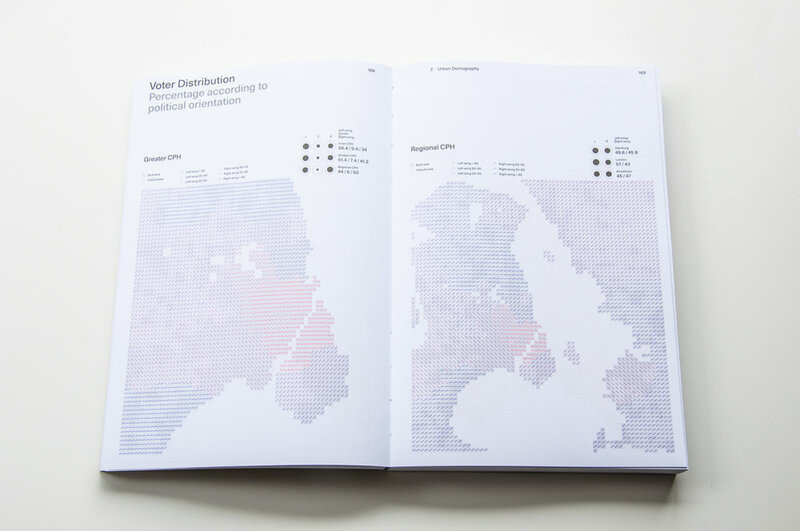 The assignment was to give a color gradient to grid-based maps compiling the statistics of the city of Copenhagen. 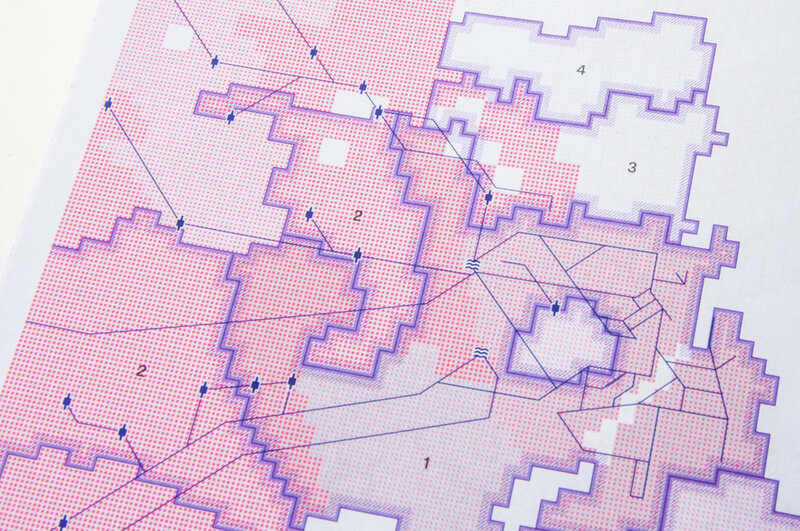 Instead of changing the ink intensity to make a gradient, a set of single to triple circles created a variety of colored-line density, or a group of shapes ranging from solid squares, circles, triangles, lines, dotted-lines to small dots, expressed a series of pixels with different levels of ink content. 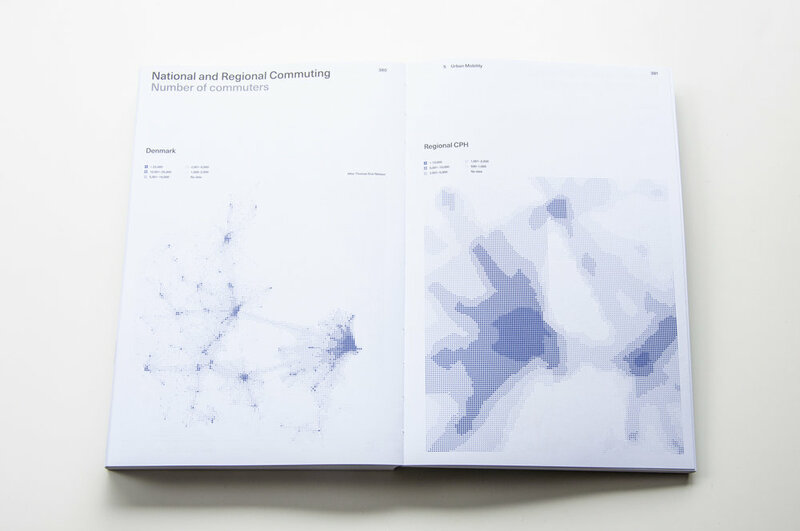 These unique color gradient systems provide the overview of data distribution from a distance and give a surprise on a closer look at the delicate details.